The White House released a list of 100 projects that exemplify President Barack Obama’s commitment to reinvigorating U.S. science, technology and innovation efforts. 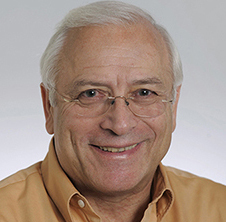 Included on the list is the work by Carnegie Mellon University’s Stephen E. Fienberg and his colleagues to improve the practice of forensic science. The Center for Statistics and Applications in Forensic Evidence, a collaboration with statisticians at three other universities and forensic practitioners, is focused on using statistics to solidify the scientific basis for forensic tools and methods. In 2014, Fienberg was one of 30 members named to the U.S. Department of Justice and the U.S. Department of Commerce's National Institute of Standards and Technology's (NIST) National Commission on Forensic Science. The commission, part of an initiative to strengthen and enhance the practice of forensic science, works to create guidelines concerning the intersections between forensic science and the criminal justice system and develop policy recommendations for the U.S. Attorney General, including uniform codes for professional responsibility and requirements for formal training and certification. Fienberg continues to serve as the commission’s only statistician. “I have had a longstanding interest in the role statistics can play in setting forensic methods on a firm scientific foundation. All too often forensic practitioners have relied upon tools with little or no sound empirical base, like bite marks. Carefully designed statistical evaluation studies are the key to technical advances and the setting of empirically based standards so that the term 'forensic science' is no longer viewed as an oxymoron," he said.